He later was elected to the state senate and served as senator for twenty one years (1955-1976), longer than any other senator in the history of Horry County at that time . He was born on Easter Sunday, April 4, 1920, in Loris, South Carolina to the late McDuffie P. and Lalla M. Stevens. The firm, being the oldest law firm in Horry County, South Carolina serves clients mainly in Civil trial practice throughout Eastern South Carolina, including the Counties of Horry, Marion, Florence, Georgetown, Charleston, Williamsburg and Richland. Senator Stevens’ son, James P. Stevens, Jr. “Jim” entered the law practice in 1973. He and his father practiced together for 14 years before Mr. Stevens, Sr. retired in 1986 and entered “Of Counsel” status with the firm. Jim has been practicing law in Loris South Carolina for almost forty years. He has represented plaintiffs and defendants. In June 2005, Natalie Stevens who is the granddaughter of Senator Stevens and daughter of Jim Stevens graduated law school. She took the South Carolina Bar Exam in July and was inducted into the South Carolina Bar in November of 2005. She is now married with two children and goes by Natalie Stevens-Graziani. 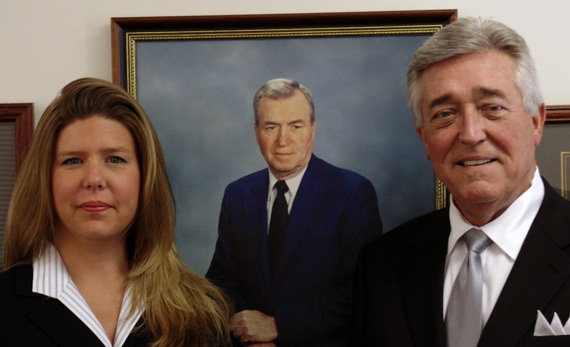 Since 2005 Stevens Law Firm has been a father-daughter team that has been more successful than ever.